High quality water tanks and excellent service is what Bushmans aims to provide the South Australian Riverland region. Bushman poly water tanks sizes range from 1,000 litres to 46,400 litres and are ideal for the house, farm or commercial building. If you need a larger tank or a specific fire tank, then Bushmans Aqualine range of galvanised steel tanks are the answer. Aqualine tanks start at 22,500 litres and go through to 363,000 litres. Click here to go to Product pages. 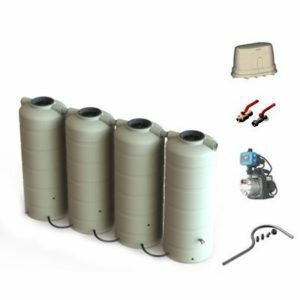 If you are rain harvesting from your shed or house, then Bushmans not only have rainwater tanks but a whole range of accessories to ensure you get the best and most effective rain harvesting system. Bushmans has its own fleet of specialist delivery trucks and we offer free delivery to the Riverland region from our manufacturing and distribution site in Adelaide. 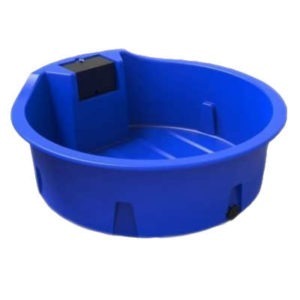 Bushman’s is one of the most experienced Poly tank manufacturers and Bushmans tanks are made from Sunsmart® raw material which gives the tanks excellent protection from the harsh rays of the sun and results in a longer lasting, higher quality tank. The inclusion of our new Sunsmart® technology has been implemented to improve the quality of our products and ensure that we are providing the best quality water tank available. Our Bushmans water tank employees can help provide you with more information and help you figure out the right tank for you. Click here for more information. This region is a major grape growing region and also grows citrus and stone fruit. These crops are all irrigated from the Murray River. The wine produced in the Riverland’s is predominately bulk wine. The climate is semi-arid with hot dry summers and cooler wet winters. The annual average rainfall is 240 mm to 280 mm. This dry region is reliant on water from the Murray river and rainwater harvesting. Rainwater tanks are a key element in the provision of clean fresh water to this region.